Hidden Spire: Looking for a place to perch? Looking for a place to perch? Sourcing the materials and objects we need for the set of ‘Before the Tempest’ has involved some lateral thinking and brought us into contact with lots of different organizations and businesses in Oxford. From Oxfam who donated surplus books to ‘Oxford wood recycling’ from whom we bought wood, and of course Orinoco – Oxford’s scrap store – the source of many bizarre and wonderful things, many of the objects and materials we have found have histories of their own. This is particularly true of the sections of oak we sourced from Oxford Parks Department which will bring the texture and rawness of unprocessed wood into our stage set. 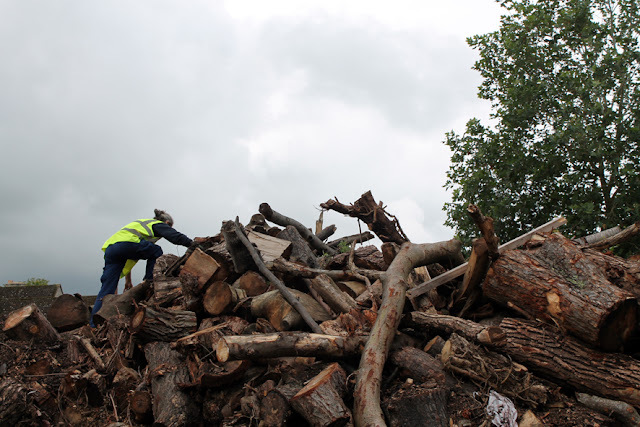 I met Jo Huntley at the Parks depot to look at their collection of wood from trees in public spaces around Oxford that have been felled or pruned. They have built up a huge stack of wood, most of which is not of quality or quantity to be sold or used elsewhere, and much of which will become bark chippings to be used as mulch. I noticed some recently felled branches of an oak tree which were still covered in green ivy. 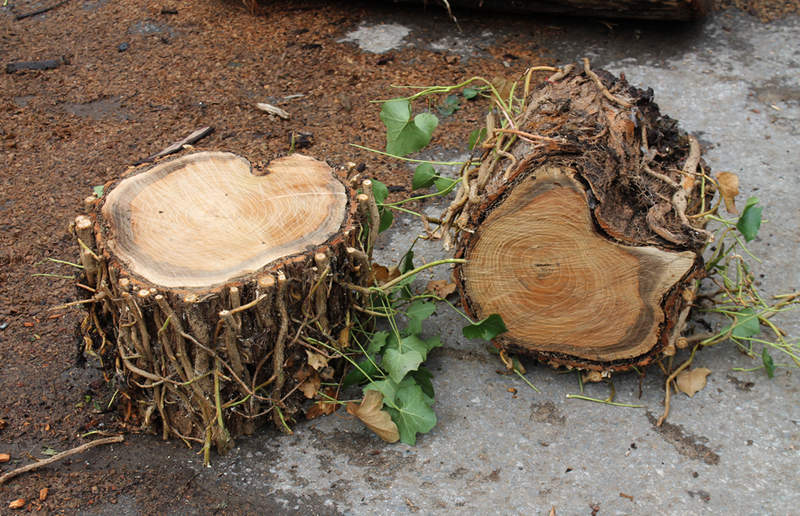 These come from a huge old tree in Magdalen Wood that was damaged in a recent storm. 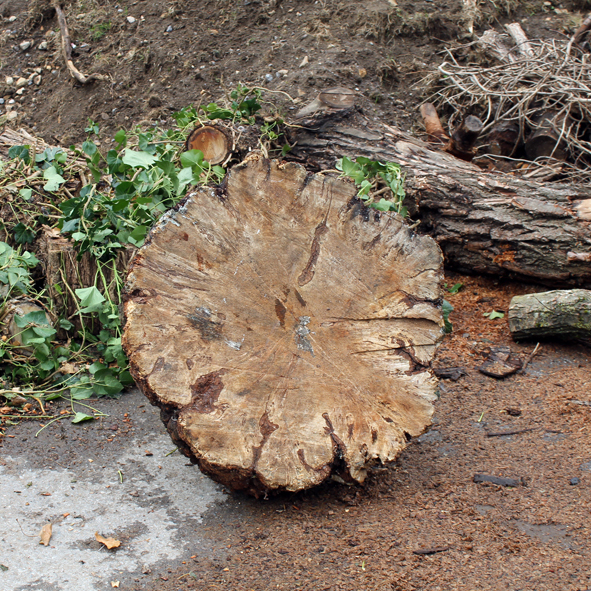 Huge boughs fell from the tree, but thankfully the tree itself could be preserved after unsafe branches were removed. The pieces of wood I chose have lots of character and the grain of the wood is easy to see as they were sawn up so recently. These will be used as 'perches' for the birds during the performance. I wanted to find a wide but shallow section of tree trunk and this proved harder to locate. Jo wasn’t optimistic, but she climbed to the top of the wood stack and uncovered a wonderful piece of wood that is quite rotten and habitat to many mini-beasts. The jury is out on whether this will be included. It might be too rich a habitat to put into a theatre!